I've recovered almost fully from the Boden party. An early night on Friday really helped though it meant I missed a fab night out in Belfast but I was out with the hubby Saturday night so I knew I couldn't do three in a row...is that an age 40 thing? Should I just resign myself to one night a week now? Anyway, I had a few wee shots to share from the weekend that I thought you'd enjoy. 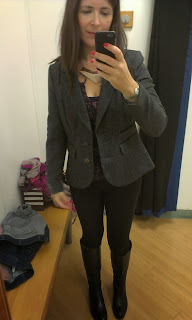 First up, I managed to have a peek in Primark on Saturday and saw a couple of cute jackets. 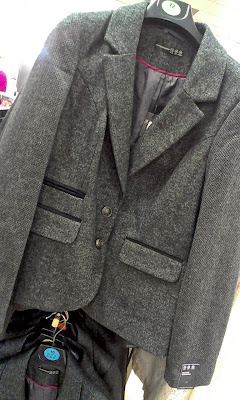 The first one is grey tweed style with the sleeves made from a slightly different tweed - quite quirky for Primark. 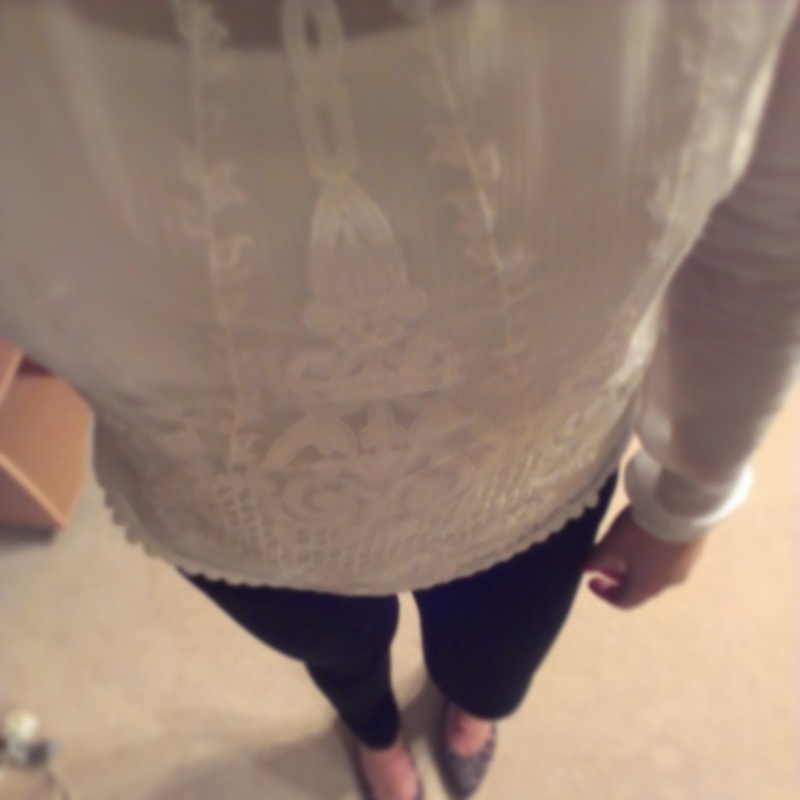 It really was a lovely quality and a generous fit. I tried on the 12 but it was too big...usually in Primark, I'm a 12 or 14! 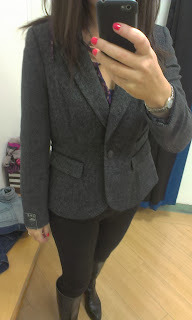 It was priced at £23 and perfect if you're looking for a casual autumn jacket that will match everything. I also loved this contrast sleeve leopard print jacket. 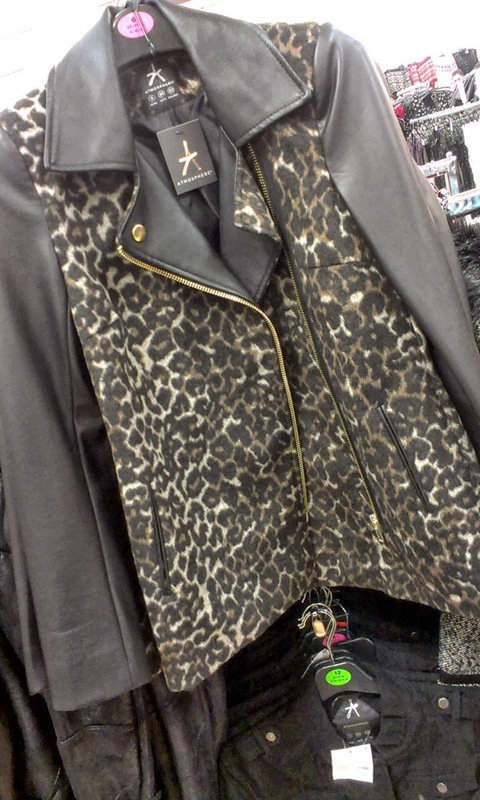 The quality of the leopard part was excellent...the sleeves were a bit plastic feeling but actually didn't look bad. It's £25 but they didn't have my size to try on. Didn't buy a jacket in the end - just this cream control vest. 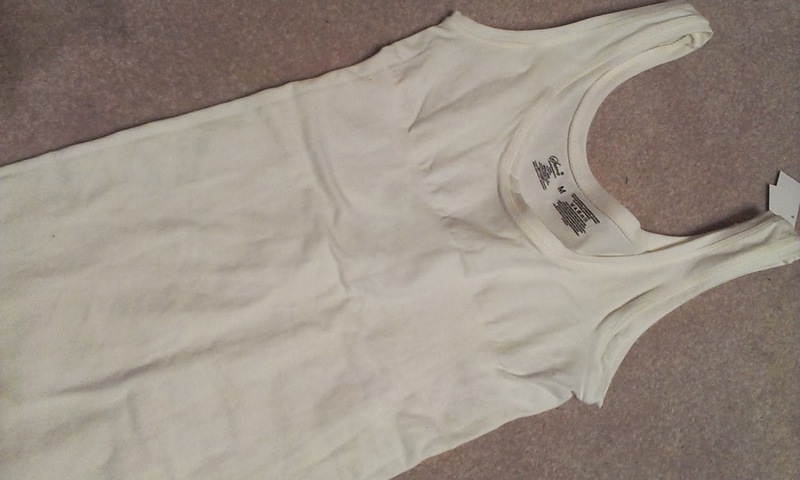 Don't know about anyone else but I really struggle to find a lovely cream vest to wear under sheer tops that has wide straps to hide bra straps. There's nothing worse than seeing two sets of straps under a sheer top - or is that just me? This top has the added bonus of being extra long in length (good for long torso girls like me) and it has a control effect too! At only £6, it's a great buy. Didn't see them in white but they had a black version too. 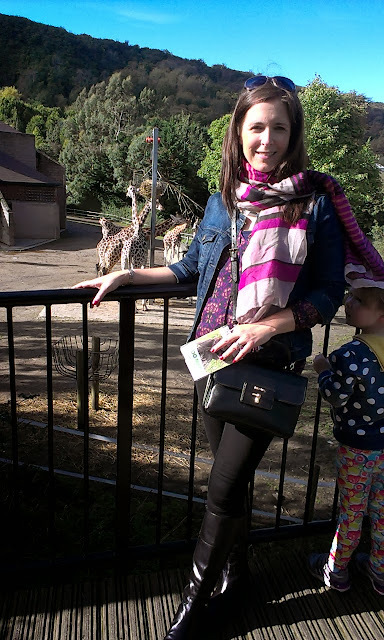 Zoo outfit comprised my new Daniel Skylark Long Black Boots (current - blog post to follow), Gok skinnies (AW12), a Loft blouse from the US (current) that my sister in law got me on a recent visit there, M&S Denim Jacket (SS12), Sainsbury's Scarf (SS12) and the Prada Baby. 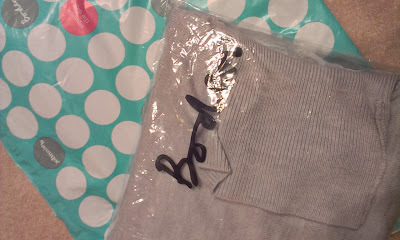 One last thing that pleased me greatly on Saturday - my Boden Off Duty Merino Jumper arrived! It will get a blog of it's own - it's that good! But here's a last reminder on the Boden code. If you want 20% off this week, drop me an email to schoolgatestyle@yahoo.co.uk. My code is only valid for another week or so. Hope you've had and are still having a lovely weekend. I didn't see that tweed jacket.... I must look out for it when I am in Penneys next:) Have a lovely Sunday Avril! Oh gosh - I'm out about one night every two months. I'm officially past it. And I love seeing you take your Prada baby out and about. Better than saving it for best only.